14.09.2016: I am back again since a few month but it looks like I am not coming back to wildstar, so I declare my project canceled. NikolaiKondich picked it up and is currently reworking it. Go for his version while mine is completely deprecated and non-working I guess. 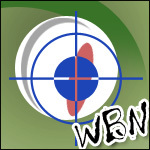 14.01.2016: I am "off" for a few month which means the work on WBN will meanwhile be suspended. I guess I reached a half way stable state so this should be no problem. => People again are getting errors I don't get. * added a delay for the communication channel connection after login because I realized that I often have to reload the UI (after logging in) in order to make WBN work (all tough the communication API says that I am connected). Perhaps this delay will fix this problem. * The main window does not pop up over and over again now -> you now get a notification Button to the left of the screen when there are any active events. The button opens the mainwindow you already know when you click it. This button does also disappear when there are no events live. When you are at a worldboss Spot, you will (when you are using this addon only) notify other players who use it too about the current worldboss event's status. As soon as one player's addon sends a notification, every other person who uses this addon will get the notification and the notification Button to the left of the screen or the smart info window will show up to inform you about the Worldboss event. Note 1: The more player using this addon, the better and more accurate it works. * The addon also observes the "Global" channel for people writing something containing "join" (most people for example write "join me for scorchwing x/x"). As soon as the addon finds anything containing "join" it will display the name within the right box. You can hover the player's button to see the message he wrote and click it to automatically do a join. NOTE: This will currently only work for the german and the english game client! If you are french, please leave a comment and tell me the slash command you have to enter to join somebody's raid. I will then implement this so this will also work for a french client. * When you received a "boss on cooldown" notification and all people who could send a notification leave the spot, the addon shows (by a red bar) that the event is "Out of Sync". It will calculate the rest time till the cooldown time is over then. The "Way To The Worldboss Guide Window"
It contains Buttons that can be clicked to show the typical Hint-Arrow to point you to the right direction. Note: This currently only works for Exiles! * Sometimes bosses spawn multiple times in different phases. If two different players are standing at the same boss sight while in a different phase (they also wont even see each other) you as someone standing in Thayd (for example) will see the Boss info in WBN jumping between these different statuses. This problem seems to be unfixable! There seems to be no way to identify the Boss instance/phase you are seeing.